We are still feeling the effects of the Virgo Full Moon from Monday, February 26th. What a powerful energy we are receiving. This moon represents our balance so the past can be gone and the future may be revealed. It has taken us into a tailspin of energies that will affect us through the four body system. Some of us experienced releasing old timelines from previous lifetimes that were ignited through our Etheric Body before the full moon and others are experiencing those effects presently. Whatever is the case, each of us is expanding deeper into our Higher Essences for them to be the defining factor in our relations with ourselves and others. What are some of the symptoms? Intense energies, tiredness, cannot get enough sleep, extreme headaches or other areas of the body reacting, because they are being infused with the higher energies of light. Our multi-dimensional bodies are trying to interact with our physical existence of the NOW. It is important that we take care of the elements that do not serve us as it is changing very quickly which we are learning to move through it all. The power of these energies cannot be measured by anyone as we have never experienced it before within any planetary function. We are the pioneers moving into a new paradigm of experiences as we are trying to ground the energies. The rest of this week we need to take time to allow what we are feeling to be fully activated within us. When we have the periods of extreme uncertainty, it means that we need to take further steps to feel comfortable within ourselves. We cannot stress enough how important it is to act within your Higher Self motives and remove the programming that has kept us stuck in dysfunction for way too long. The fact that we may feel uncomfortable is because we are the new-born essence finding our way in a world that does not support the upgrades that we are receiving. So it needs to happen for each of us in the way that we can handle it. The Emotional and Mental bodies are on overload as they are not accustomed to feeling and acting in a new way. We are the Children of the Light and must act accordingly. Going too swiftly or slowly is not going to serve any purpose. The most important pathway is “what is right for you in this moment”. Express yourself through your feelings with compassion and love. It is very important for us to speak our truth but understanding the other’s point of view. It must not be in anger or aggression of the lower energies, but allowing the beauty of who we are to illuminate out to the world around you. Connecting with the Mental body is essential, but it is important not to get into the states of “worrying” to the point of being judgmental to the self of why, how, and if statements. Instead use the breath to connect with your Higher Self to activate the Divine Essence you are into your physical creation. Allow yourself to be in an awakened meditation continually. As Dr. Joshua David Stone always said, “Fake it till you make it.” Use this technique to help align you with your Higher Essence within the physical body. Eventually it will become a practice you don’t even have to think about. Then the emotions will flow much easier especially in times of high energy exchanges like we are feeling presently. It is important to utilize your Higher Self continually. We are now in Mercury Retrograde which is a testing ground for allowing your higher essence to be your guide. The cycle of Mercury in Retrograde can be challenging to communicate to others but think about how much better you will feel by accessing your Divine Will continually. We, then, will not feel as challenged with the planetary interactions as we do when living in a physical world only. Think about it ~ if you are living as if you are meditating, it is going to affect all of your life circumstances including working with computers, and all mechanical ways of communicating. If you are traveling during this time, do not let the understanding of Mercury Retrograde effect the way you are living, but use it as a tool to rise above it. It is a perfect time to work through the old timelines that you have been trying to remove out of your consciousness. The world of communication becomes very acute during this cycle, but we don’t have to be enmeshed within it. We can use it as a tool to move through the energies as we are doing with the higher vibrational changes. 2013 will have more of these challenges to help us walk into the world of the 5th dimension. Most of us do not realize the depth of our essence that needs to be changed in the process. We are going through a cycle of Rebirth. Take an inventory of where you are presently to understand what needs to be changed and allow the energies to help you do so. Each of these weeks going towards the Spring Equinox is assisting us greatly even though it may feel as if you are being challenged continually. Nothing can stay the same and if you are on this pathway, “Congratulations” as you are going to help many others that will follow. March is going to prove to give us more of the same so it is important to understand that each stage of growth there will be a short period of integration which will take us to the next level of advancing our physical bodies to receive the higher essence. Embrace the change and it will embrace you. What a beautiful week it is! Each of you are experiencing such an expansion of the Light emanating from the Higher Forces of Light into the planetary existence that it probably has been quite challenging physically. Grandmother Moon has been holding these frequencies for the past two weeks which is a direct result of what you have been feeling within your bodies. As the energies have shifted greatly, between the Sun and the Moon they aligned within each individual person a new expression of balance. These essences were ignited last week, continuing through the Full Moon of this week and allowing it to settle into each individual person. What does this mean? More equilibrium is occurring within the Masculine and Feminine energies. It is common knowledge that physical humans have a tendency to be imbalanced in either the Mental or Emotional bodies. This is due to your previous timelines that are being activated along with the lifetimes of karma you have endured. It has nothing to do with the fact that you are a woman or a man. We want you to understand that fact. Where are you in your balance of the subtle bodies of light? Do you have a tendency to be emotionally centered or masculine-oriented in your approach to life? Do you think quite a bit before you speak along with worrying about every detail and needing more information for each task that you perform? Are you more flowing and allow your Feminine Divine to assist you in the process of solving problems through your intuition? Do you cry at the drop of a thought or emotion? Or do you think about it deeply? These are the elements to think about this week as the energies are taking each of you into a deeper level of yourself. It is important to realize that what you are feeling or thinking is important but the flow of ideas must come from the Mental body into the Emotional body so that it is aligned in its true identity. A perfect example would be: You are thinking about a project, something to study, or a problem that needs to be solved. So you sit and write an outline of a list of items you need to consider. This is coming from your Mental body. Do you then stop and reflect on who to create the process for the work you need to do? If you are running in a Mental level, you probably would re-write the list, cross out things, and ponder for a long time. Then you are not quite sure how to get started so you just jump into the process without looking at other variables. If you are within the Emotional level, you might feel the thoughts intuitively but then become emotional of how to get started. You know you can do it but the thoughts are not coming to you, but you see the vision, The Overall Picture. Someone who is in full balance within the Masculine and Feminine Essence would take some time to meditate on the project or problem. Get an understanding from the Higher Self or Guides to help formulate the process. Then upon finishing the meditation, they would sit with their Higher Self intact and write the list. During this time, they might be activating their Higher Self with the breath as they are bringing forth the ideas. This is the crucial phase as now the Emotional Level can be activated through the breath. The visions will come and the ideas will flow more easily. The Masculine Divine initiates the energies by bringing forth the ideas, setting the groundwork; whereas the Feminine Divine then activates the process to occur through the ability of visionary work allowing the process to be created. This is exactly what the present energies represent. Last week we talked about the timelines being purged and ignited. Now the balance is coming into effect. Not everyone is going to accept their internal equilibrium to be ignited due to elements that are too strong or weak on each side. The process of changing it into a balanced state is not easy and each of you is being challenged to do so. So what do you do about it? First acknowledge which side of you, the Emotional or the Mental has the deciding rule. Then, look at the characteristics that support the balance and rid yourself of the weak ones by activating your Higher Self in the process. Learning which aspects are not fitting your highest purpose will help you, the physical being, to accept the process. We guarantee you that the effects you are feeling from these energies are trying to help you accept the Divine Union of the Masculine and Feminine to be incorporated. Also, look at the areas you are being affected physically. Check which chakras need to be aligned and infused with more light or need to remove the parts that do not fit this higher essence. It is important to realize that your chakras need to be cleared fully in order to receive the higher chakras. If you are feeling ill in any of these areas, then attention must be put to the physical conditioning. Each of your chakras represent the masculine and feminine within them so they must be balanced. Breathing deeply through them daily will help align the energies. Then take what you do not need and give it away through the Violet Flame, through Gaia, through the Rocks, Trees, and the Lands. They balance themselves continually and when you ask for their assistance it will be given. Then you show your gratitude by giving them a portion of your Light that you are receiving. They will be very grateful and will flourish within the essence of GAIA. Then, each of you is collaborating with one another. The changes are going to be getting more intense and some land areas will be affected. The most important aspect to remember is to not embrace the lower energies of fear and anguish. But use your Masculine and Feminine Divine Will of God within you to decide what you need to know and embrace. If you feel the need through this essence to relocate, then do so. It is all about knowing what you need to do in each moment and be prepared but with balance of both aspects within the Love, Power and Will that you are. We know it is a challenge presently and more will be coming. But in between the moments of increased energies, think how much better you feel, are interacting, and accept the multi-dimensional self that you are. So Mote It Be in Oneness! To ignite your chakras with balance, check out Walking Terra Christa’s powerful series, Integrate the 22 Rays of God Into Your Chakras which is available for download. When we embrace the energies of Love and Wisdom through the Essence of the Elohim Masters, it brings forth a feeling of gentleness and understanding of the Golden-Yellow Ray Spectrum of Light. Elohim Apollo and Lumina share with us a feeling of understanding how to fully allow the aspect of Perception and Wisdom to be experienced within the human condition. They both ground this energy for each of us within the Earth including Gaia. It is through their understanding to us that we start to allow our Divine Wisdom to be illuminated within our world. Apollo and Lumina are also known as Cassiopea and Minerva in various esoteric teachings. They represent the Divine Flame of Illumination which allows the Mental Mind to surrender into the concept of receiving and acting upon God’s Divine idea and direction of understanding how to manifest it. Lumina is the Goddess of Wisdom as she personifies the essence of God through her extending her hand of knowledge to each of us so that we may see our own Divine Will being manifested within our Wisdom of the Self. 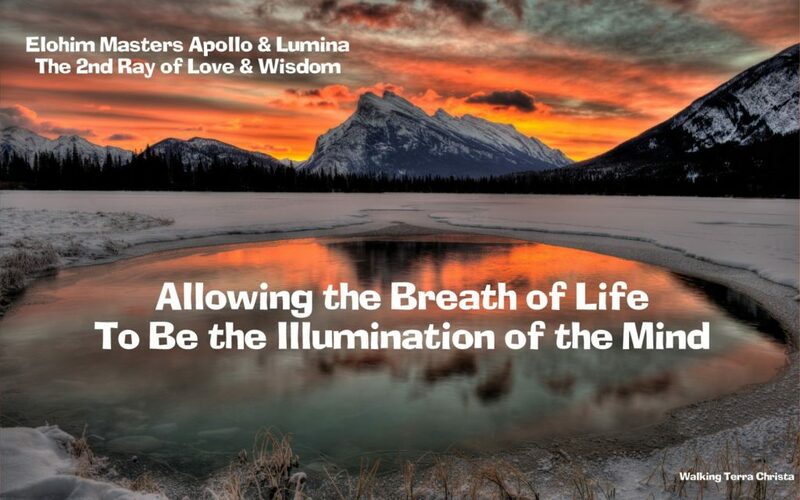 Both Apollo and Lumina share their extensive knowledge and expertise with the Divine Flame to show us our way of understanding it and accepting our divinity upon this Earth. We are, Apollo and Lumina, keepers of the Divine Flame of Illumination for Love and Wisdom. It is our divine pleasure to speak to you in this moment. We ask of you how many times during the day do you express your breath to accept your own Divine Flame? This is a very important question to ponder as the energetic exchange coming from your Higher Essence into the body cannot be felt unless you command it to be so through your breath. The breath is the divine connection of the Source of Light and many times it is forgotten unless you are completing a task in which it is important, like walking, running, exercising, deep periods of meditation, and exerting your physical energies. But it is more important to reflect on these elements in your day. You body cannot survive without the breath and the deepest reflection that can occur happens through this action of your physical self into the spiritual self and then back through the physical essence. This will help the Mental Mind to surrender into your highest wisdom of light. When you start to meditate, don’t you take deep breaths and allow your body to relax? Yes, of course you do; and if you don’t, then you are missing a very good point in your acceleration process. This is the entry point of you learning how to create and allows the Mental Body to accept the process of illumination. Trying to do it from just the mental thoughts will never work as you are a supreme being of light so that source of light must be manifested from your Higher Self. How does the Higher Self find the illumination it is searching for? By allowing the frequency from God’s Source to come within the mental thoughts through the frequency of the breath. It is so very simple to remember but yet, many of you forget time and time again. If you think of yourself as beam of light filtering into all areas of existence, that light is manifest by the pure essence of its arrival. When it enters the body, how does the physical self know what to receive? These are the questions that you must ponder when realizing the essence of Illumination. We cannot feel illumination from within the physical as we are just acting within that response of experiences. As you come within the physical body, you bring the fluidness and light of God’s Will in your breath. By allowing yourself to breathe through it, you are accepting you have acquired Wisdom that needs to be shared and acknowledged to the Earth. This is when the Mental Mind becomes the Higher Mind, and you accept the definitive light within your totality. Thoughts can become reality as you perceive it from the higher sense of yourself and not the lower self trying to create the changes necessary. This is where Love and Wisdom is acknowledged within your physical reality. Perception of the moment is a necessary aspect to allow the initiatory response to be fully active within your consciousness. It can only work in this manner by activating it through your breath to the Higher Mind into the Physical Self. This is the chain of events that must be created in order to have the illumination of the mind within your physical creation. This will then help you to understand your Wisdom allowing the depth of Love that is being given to you in each of these moments. We know that the transition of learning this process is not an easy one but once you acquire it and fully act upon it in all of your moments, then you will be able to perceive your life as the Light and God Force that you are. You will see that God’s illumination is truly yours. You can accept, acknowledge, and embrace it fully. We honor each of you for walking this pathway of Light and want you to know that we will help you to honor yourself in the process. ©2013 Walking Terra Christa, Rev. Christine Meleriessee & Mike Hayden, Ascension Mastery ~ All Rights Reserved. No use without prior written permission allowed except for sharing the post in its entirety along with the link to this page; WalkingTerraChrista-Elohim Appollo & Lumina, 2nd Ray of Love & Wisdom. 22 RAYS Challenge is a powerful email course to understand and incorporate the Rays of God by receiving background information on each ray with an attunement. How do we understand what constitutes a peaceful state of mind? Some of the definitions would be mental freedom, tranquility, comfort, or happiness. Do you have these faculties within you on a daily basis? And how do you acquire the ability to find balance within your life? These are the questions that can be very important for us to ponder as we move into the Full Moon energies of February 25th, 2013 which is in the sign of Virgo with Pisces at 8:26 PM GMT or 3:26 PM US Eastern. Virgo represents that ability to ground energies of our day-to-day functions focusing on the need for order in our lives while Pisces is more fluid accessing our spiritual believes to become manifest physically. The energies we will be receiving represent “illumination” of what is inside of us, how we are interacting within the world, which part of it represents our spiritual nature, and which part is from the accessibility of sustaining life in our third dimensional world. We are being challenged to look within and allow the changes to occur as our Higher Self becomes the deciding factor in our reality. This is going to reflect in our thinking process and how we feel about those elements within ourselves that illuminate to the outside world. With the increased activations of January and February we are being assisted by the Cosmic Forces to remember our highest beliefs and traditions from the perspective of our soul’s presence and not the physical reality. Our angelic presence is becoming more active along with learning more about ourselves every day. The higher frequencies that are becoming intertwined within our physical bodies are helping us to acknowledge the spiritual essence that we are. But how do we ground these energies into our physical reality as the questions of how, why, and when will come to the forefront of our minds. It is important to continually accept the fact that we are “the spiritual beings having a physical experience”. But how many of us truly reflect deeply within ourselves on that statement? We speak it, read it, and understand it but the time is now here for us to reflect deeply within our higher self in our daily practice and not just in meditations. We don’t have time any longer to ponder the thoughts but truly activate the higher mind into our true reality. And every one of us responds very slowly for this to happen. Why, because we have been programmed to be non-committal of our spiritual essence in every moment of our day. We have a tendency to be either physical or spiritual. It is now time to take inventory of how deeply we acknowledge our higher self in our daily living. This is what this moon represents and the oncoming energies within the planet. Each of us made a contract before we arrived on Earth that we would step into a pathway that would be beneficial for our soul. I ask you, how many of you know what this contract is and what are you doing about it. How are you being challenged within your life circumstance? Is it through your relationships, family situation, children, friends, or financially? I know there are more categories but these are the main components of us feeling we are balanced within our lives. It is time to fully accept the parts of yourself that you have forgotten about and remove the areas that no longer fit into your present circumstances. This is not easy to accomplish as we want to stay stuck and think life will get better if things would just change. We need to change them within ourselves and then our outside circumstances will adjust to how we are incorporating the energies within ourselves. This full moon is the perfect opportunity to let go of the duality that has been controlling your life. But you must make a commitment to yourself to surrender into the process. Take a few moments and write down the parts of yourself that you do not like, or is not working for you. Be honest as this represents your self-awareness. Then list the elements that you feel you would like to create within your life without thinking how you are going to do it. The power of this exercise will allow your higher mind which is your Higher Self to fully command through your subconscious to make the necessary adjustments. The dark of our inner self is being acknowledged right now whether you know it or not. This is why you are having difficulty within your present life. The higher frequencies within the Great Central Suns is asking us to purify our thoughts and emotions and replace them with the Light that We Are. But many do not understand how to create this action within themselves. It is so simple that you would laugh so hysterically if you allowed the peace to intertwine within you. It takes so much energy to be angry and fearful which lodges within our physical existence causing dis-ease to occur. It is now time on February 25th to allow the energies to enfold within us and feel the tightrope that we have been walking on become a huge pathway of balance. Take time for yourself and expand your energies from your breath into the world around you. Allow the illumination that you are from your highest perspective to expand outside for others to see. Stop and smell the roses of your existence from your Heart and allow this frequency of light to help you. Then ground it by dancing, singing, and expressing beautiful music through you. Change is here ~ we cannot stop it but we can flow through it. It is exciting and invigorating to realize that our dysfunction has stopped us from our truest essence. We are experiencing it now so please take a few moments to exchange your thoughts from your Lower Mind into your Higher Mind. You will be pleased that you did so. Join us on Monday evening at 5 PM Pacific, 8 PM Eastern for a special Full Moon Ceremony in which you can take this practice we have shared and experience it with others. Our Native Guide, NO EYES, will take us through a shamanic exercise to let go of the fear and anger that is stopping us to feel our higher essence in the physical body. This is an open call and all are invited to join either by telephone or Skype. Details are available on Walking Terra Christa, http://walkingterrachrista.com/tele-calls/. Blessings and joy for an amazing full moon experience. ©2013 Walking Terra Christa, Rev. Christine Meleriessee & Mike Hayden, Ascension Mastery ~ All Rights Reserved. No use without prior written permission allowed except for sharing the post in its entirety along with the link to this page ~ Walking Terra Christa. The Igniting Timelines ~ Part 2 of 2 ~ How Can We Work Through Them? Click to read: Part 1 of 1 ~ The Igniting Timelines ~ What Are They? It is really important to be aware of your own truth, your light, your thoughts, and your emotions from the perspective of your Highest Essence. This can be a challenge for many individuals if they are not used to meditating, and creating a consciousness within them that is positive, full of love, joy, and understanding the difference. This is the mountain that each of us needs to climb presently. We will not survive if we do not understand Who We Are. Taking time to go within by meditating, acts of silence, feeling the beauty of nature around us are some of the ways in order to experience these changes. It is up to us to fully accept that we are changing and being a Divine Being fully manifest is our destiny in this lifetime. This is why the timelines are igniting ~ so that we can be More than We Are presently and accept the responsibility of honoring ourselves through the process. Every human that awakens into a new level of consciousness walks into the Pathway of Mastership. It depends on what they choose to do with that awareness. We have the ability to be the Ascended Masters of the New Earth but it takes courage, diligence, great love, and responsibility to continue on this pathway. Some individuals choose to go to a certain level and stay within that consciousness as it feels comfortable for them. It is a personal choice and no one ever judges someone for not aspiring to more. That may be the contract they have during this lifetime and to assist individuals on the lower levels. Please understand that the duality we are experiencing within the 4th dimensional level is due the Light and Dark finally separating from one another. There becomes a space in between in which within a very intuitive channel or person connected to the higher forces of light can fully feel the difference. Each of us has been on both sides and many of our timelines that erupt that are painful and traumatic are a direct result of these memories being ignited within us. We are walking through the forest in darkness trying to find the light. This also represents the energies within the Earthplane. There are many lost souls that never found the light and there are many other lower energies of interplanetary levels that are not focused within the Christed energies. It is imperative that we only call upon the highest frequencies to be with us. What is happening presently is that the Dark and the Light are fighting for their space on GAIA but the Light is much stronger and will win. In the meantime lower forces can try to stop us by creating bad thoughts, emotions, and troubles within our reality. It is up to us individually to walk in balance by activating our Highest Essence and I AM Presence and start to feel the beautiful essence that we are. We are not supposed to be dysfunctional, full of envy and greed but compassionate and loving human beings. This is the process that we are going through presently with the timelines and activating only the highest level guided through our Higher Self and our Highest Purpose. Please know everyone is being challenged presently to be more than they ever thought that they could be. It is important to realize that the old timelines can be released quickly through the effort of vibrational healing and allowing the Rays of God to assist in the process. Utilizing chanting and vibrational voice channeling is so very helpful and can make a difference immediately. The most important tool I feel that can be utilized is working within the Violet Ray to transmute the energies. Allowing your physical body to be completely immersed within the Violet Flame will change the composition being directed from the Etheric level into the physical essence. It will also create an awakening in the thought process and emotional response. Using the Violet Light with St. Germain will create the process to allow the old timelines to be removed. It is imperative to ignite the body with new and loving energies so I suggest utilizing the Pink Ray of Creative Intelligence in which the light fully infuses within the body with compassion, love, and joyful emotions. Going a step further would be to blend the Violet and the Pink into one flame of light which represents Vibrational Communication. Now your entire four body system moves into the full body system igniting the energies through your Masculine and Feminine Divine to become One Essence within the Heart Center of the Three-fold Flame. It is imperative to embrace the Three-Fold flame which will bring forth the qualities of Wisdom-Love-Power through the Masculine-Feminine-Christ Consciousness within the Heart. When this occurs, the new timelines that you are supposed to remember can be ignited within your reality as the process beings to fully accept your Multi-Dimensional Self. Utilizing this technique each time you feel uncomfortable with your emotions or thoughts will truly change your experience of life on Earth at this time. I have shared this background information as I feel it is important to express to others what I experience personally in my healing pathway. As most of you know, I am a very highly seasoned lightworker being on this pathway for almost 30 years. The energies have shifted dramatically since my beginning walk into the Light and it amazes me continually how deep we need to get into the Core of our Beings. This will continue for each of us because there is no end of our depth when we acknowledge the world of Mastery. It is why I chose to go deeper into my own essence a very long time ago. I have been somewhat challenged on a physical level as it is the last of my bodies that needs to heal. I struggled with staying on the Earth when my acceleration became so deep that I could have truly commanded my body to break down. The way this could have happened was through an issue in my veins as the blood has a tendency to not pump upwards especially without exercise and sitting at a computer for hours causing Edema within my lower limbs. I work with many healing essences and sustain the issue, but I never could get totally past the problem. I know I am being guided to stay on this earth way beyond I ever thought possible in the hundreds of years and recently have been unsure how I could do so. My partner, Mike, and I, living in Mt. Shasta also have a very strong connection to Lemuria which is why we live here now. We also work with Lord Adama through our teachings along with the Team of Light. Our life in Lemuria was beautiful but not so wonderful in the last 50 years. We have realized all of this in the last 18 months of living here. We both have had to look at our dark timelines and admit that we were not always the beautiful people we wanted to be. That is our truth and it is true of every person on this planet. In order to be in the Light you have to know the dark. Joshua David Stone refers to this as ‘Walking in the Black Forest’. Through the process of accelerating my energies I have a tendency to know when something of a lower frequency is trying to interfere in my consciousness. Mike, my partner, is learning this also, but it is very acute with me. Mt. Shasta is the Root Chakra of the Earth, and there are many levels of energies here. We have been introduced to them all. This is why we set up a Protection Protocol to assist ourselves and others in raising our vibrations to the 5th dimensional level so as not to be bothered by other energies. I also have traveled here for over a decade helping to clear the lands so I understand truly about the diversity of life within the mountain. It is my pathway to help clear Gaia and Mt. Shasta to allow the souls to rise to another level of existence. This week I was to encounter another such energy but within the clearing, I was to learn about a timeline that would help to heal my entire body. I usually take a clearing bath to make sure my aura is completely healed of any reflections of the lower energies and in doing so, I realized that what we had cleared is an energy that was a past timeline within my Etheric body. During my days in Lemuria when changes were happening, I made a contract with an individual I thought I could trust to help the continent in its war-time state. What I did not realize is that I was tricked as they had access to my spiritual awareness. Any time that I would try to get to rise to a certain level, energies would try to stop me. Due to my fear at that time, I inflected my legs with such fear and anguish that it would cause the veins to be restrictive creating a circulation problem. I learned that I had this problem through my soul’s history so that my body was always out of balance as my spiritual pathway has always been my most important goal. I am sure that I died many times in trying to achieve what I have this lifetime. As I was working with my lower limbs, the emotions rose up within me. I felt toxins and debris coming out of the legs (earlier that night Mike and I had done a detox for the legs which started this process). The tears become very hysterical, and I knew instantly what had occurred. I called upon the Unified Whole and traveled through the energies up to the 144th dimension. I used the Violet Flame with St. Germain along with the Pink Flame. I then saw a very strange individual and he was signing a contract that said I would never be bothered ever again by any lower forces or energies. Master Thoth, Commander of the Unified Whole, explained to me what had occurred and told me that now the healing could happen, life would be different, and I could enjoy my spiritual achievements. He thanked me deeply as I did not realize the extent of this healing for myself and others that I am associated with presently. Evidently, this being was a huge overseer of many forces that the Earth has been under its control, and this healing for me was also a healing for Gaia. The legs have improved dramatically. I still have to utilize my healing techniques but I know that process will go smoothly with ease and grace. I did not feel that previously. I also feel differently. I have been bothered by bad dreams in which I am fighting darkness and Mike has had to wake me back up into the present reality. I learned that I no longer needed to be the Warrior of Light. I have put down my weapons and stand fully as a Torch Bearer to assist others to do the same. I commanded the Light energy to be within me and the timeline was removed instantaneously. In place of the dis-ease I have received acceptance of Who I Am along with the ability to walk into the New Earth as a Torch Bearer showing others to do the same. I believe that none of this would have been possible without the present activations of the Great Central Suns. Each of us is being assisted to understand why we have been feeling at a loss or frustrated with the newer energies. Until we surrender into the process, we need to let go of the old feelings, and accept the Divine Light that is trying to be within us, then we will not have understanding within ourselves. I hope my sharing helps just one person who is reading this material. I was guided by Lord Adama to express the changes that have resulted within me by going deeper into myself. I could not do it without the assistance of the Spiritual Hierarchy and all the wonderful masters that walk with me every moment. I especially want to convey that my partner, Mike, also has been instrumental in the acceleration of Meleriessee. ©2013 Walking Terra Christa, Rev. Christine Meleriessee & Mike Hayden, Ascension Mastery ~ All Rights Reserved. No use without prior written permission allowed except for sharing the post in its entirety along with the link to this page. Author Rev. Christine Meleriessee and Rev. J. Michael Ara HaydenPosted on February 22, 2013 Categories 2013, 5th dimension, ascension, Earth Healing, TimelinesTags 5th dimensional body, ascension, attunements, Christ Consciousness, Creative Source, Earth Healing, Energetics, healing, higher consciousness, I AM Presence, Lemuria, light work, light worker, mastery, Meleriessee, Mt. Shasta, New Earth, Oneness, Rays of God, Self Love, soul healing, spirituality, St Germain, Terra Christa, timelines, Walking Terra Christa1 Comment on The Igniting Timelines ~ Part 2 of 2 ~ How Can We Work Through Them? The Igniting Timelines ~ Part 1 of 2 ~ What Are They? 2013 is promising to be more powerful that 2012, but it depends on who you are and what your pathway means. To a person that does not understand about Universal Consciousness, they would probably perceive this time in our Earth’s history to be very difficult and problems may seem insurmountable. But it is just the opposite feeling for individuals that are awakened into the world of Spirit, their Higher Self. If we look back to when January started, the Earth’s energies have changed drastically to the unseen energies. But yet, individuals everywhere on the planet are being affected by the changes within them and around them. In January the New Moon brought forth the Angelic Activations that will continue through the year. At the Full Moon the Rainbow of Lights (video to be forthcoming) from the Elders That Surround the Throne of Grace were activated and will continue to grow through each New Moon and Full Moon occurrence. What Do These Activations Mean? The Angelic Activations represent our angelic self coming into our physical body to create the process of the multi-dimensional self. It is the part of us that will assist each person deeply to know they are more than a human being. The Rainbow of Lights is activated through the Elders to bring forth the 12 Rays of God to assist humanity. The colors will be exhibited through the Spectrum of Light of colors-within-colors during each full moon and new moon energy. To the unawakened human they will be seen as an actual rainbow. To the intuitive person it can be seen through the Third Eye through meditation or within an awakening state. They also will show themselves within the photographs being taken presently in which many colors of orbs will show up in the pictures. The Rays of God are a needed component in order to fully activate the 5th dimensional Light body and the Elders represent these frequencies of light. They are a direct manifestation from the God Force. That was just in January. February proved to be even more powerful. The energies came in very smoothly but then this week, as of February 17th,we were gifted by the Great Central Suns of the Solar-Galactic-Universal-MultiUniversal-Cosmic forces to join together to create massive electrons of light to come into Gaia which would help to ignite individuals into activating their timelines of past lives. This is the year that we are bringing together our gifts and allowing the old elements to be released through the activations of the timeline. This week, especially is making individuals to reveal themselves in a completely and different manner. It may happen suddenly and then the energy has shifted. Sometimes it is not pleasant to experience as we have been everything in our past history. So what needs to be removed will be remembered in order to allow the Higher Essence of our Light Body to be activated. What happens to the people that have no clue what this is all about? More destruction will occur, unfortunately. The timeline activation has no preference of who it is going to assist as it is occurring for every individual at this time. The difference is that individuals that have no sense of a spiritual occurrence happening in their life will find that their dark days will get darker. This is due to the duality occurring and the Light and Dark are separating. So if a person is having a very difficult time in their life, those energies will get stronger unless they find a part of themselves through a spiritual connection. This can be through many avenues of earth energies, angelic communication, praying to God, and asking for help. The lightworkers are truly working hard to change themselves and that is just what they do, “WORK WITH THE LIGHT” to assist Gaia and all her inhabitants. This means that each of us that are working doubly hard to heal within and become the multi-dimensional self, we are doing it for others in Oneness. This is why GAIA is healing as she is, and why the planet is making a turn-around towards the Light. But we have a long journey through this process. A timeline is a remembrance or a seed of information that is lodged within the Etheric body. They can be positive or negative timelines but the Etheric body remembers everything that has ever occurred to us in any lifetime. For eons of time they have been lodged away and had no purpose except to ignite through the physical a remembrance that would react as a karmic debit, either good or bad. At this time, the timelines are being reactivated to help each of us to remember and accept our role upon humanity. These timelines come from all of our lifetimes which can be anywhere from 150 to 1,000 depending upon the soul’s pathway. Many individuals who are Starseeds and Angelic Beings have only arrived for the first time. But that does not mean they don’t have timelines to work through. It just means they are probably from another planetary existence or within the Innerplane of principalities. We also have timelines that become ignited from this lifetime in which experiences happened through our existence. They are usually lodged into the Etheric body when something occurred and the soul could not work out the issue. So it was put in a hiding space and never healed or removed. It can also represent surgeries that occurred any lifetime. Those organs stay in the Etheric body and can be ignited within the Light Body if the soul so wishes for that to happen. Many times we, as the human, have no recollection of these timelines until we walk into the world of Soul Healing. Previously it only occurred during intense healing, meditations, and shamanic journeys. That is no longer the case. 2013 promises to be the year of synchronization; in order for the flowing energies to occur within each of us the timelines have to be cleared. The Great Central Suns of the Cosmic forces are assisting us to do so. The remembrances at this time, can be very powerful and will come to an individual easily and effortlessly. Now all of this is engineered by our Higher Self so that our lives can become easier with divine energies flowing into our bodies as we create the multi-dimensional self to be ignited. It depends upon each person’s particular pathway and where their Higher Self wants to guide them. Individuals not on a spiritual pathway will be effected but in a much lesser degree. It will be up to them to make changes within their lives through spiritual accessibility and the one’s that feel it the worst, are meant to wake up into a new world awaiting their consciousness. To continue reading about Timelines and How to Heal through this process, please see Part 2 of 2, The Igniting Timelines ~ How Can We Work Through Them? Author Rev. Christine Meleriessee and Rev. J. Michael Ara HaydenPosted on February 22, 2013 Categories 5th dimension, ascension, Earth Healing, TimelinesTags 5th dimensional body, ascension, attunements, Christ Consciousness, Earth Healing, Energetics, healing, higher consciousness, I AM Presence, light work, light worker, mastery, Meleriessee, Mt. 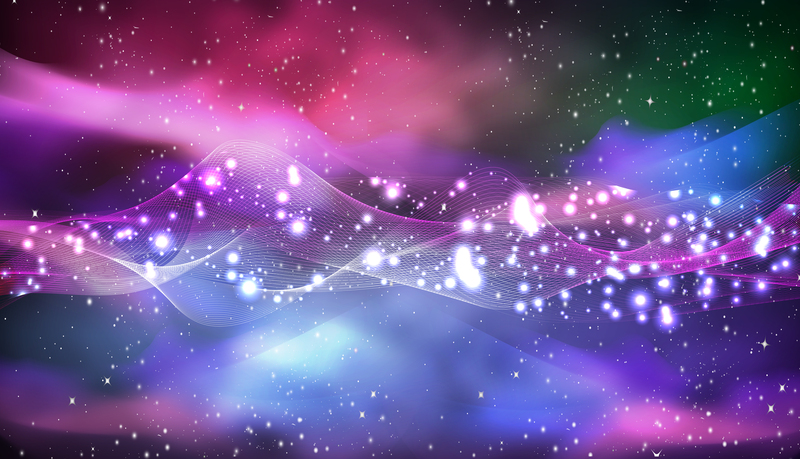 Shasta, mutli-dimensional, New Earth, Oneness, past lives, Self Love, soul healing, spirituality, Terra Christa, timelines, Walking Terra Christa1 Comment on The Igniting Timelines ~ Part 1 of 2 ~ What Are They? Another week has arrived and we are probably at the most powerful surge of energies that are coming into the planet since 12-21-12. There has been some talk from the Masters through our weekly calls that February would represent a pivotal point of understanding within each of us as we are being asked to go into the deeper levels of our core existence. I know that many people just want it all to happen NOW and get it over with, but in actuality, we are not prepared for the event to occur on a massive scale across the globe. We don’t really understand on a humanly level exactly what is happening within GAIA except that the changes are massive and creating either higher levels of bliss within individuals or massive thoughts of destructive energies. This is the separation. Many of us thought it would represent going to another planetary existence and allowing the ones that still needed to understand their role in society to deal with it all. This is not true. We are here on this planet within the concept of ONENESS to be created. So what one individual feels, we all feel whether it is in the highest level or the lowest thoughts anyone can imagine. What does that do to us as a mass consciousness? Do the Ones that are learning to incorporate their highest essence within their physical reality teach others to do the same, or do we turn our back on those that are hurting and in deep pain. Don’t we remember where we were before? And, many of us are still learning to release more intense levels of pain as the timelines are now coming together. So this is what we are all experiencing ~ the highs and lows, the frustrations and the triumphs so that we can understand how to balance ourselves between both realities and become the New Reality of Light. Not so easy to accomplish when the statistics show that there are many more souls hurting than those healing. 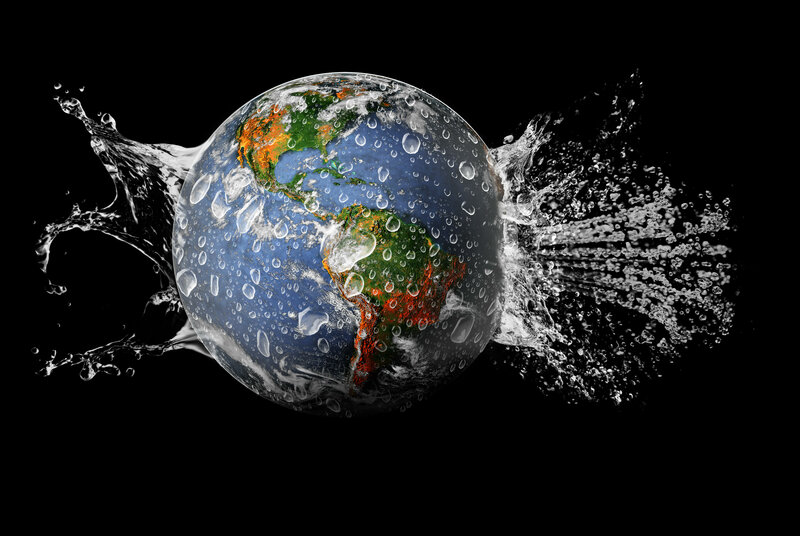 We are experiencing the depth of transformation for the entire planet which is a big responsibility for each of us. So this week is going to take us into more depth maybe not to understand but to fully accept our Lineage of Light. We will be learning how to expand ourselves through the essence of change. If we are aspiring to a fifth dimensional reality, how does the alignment of the Planets affect us? This is a very good question and something to ponder as Mercury Turns Retrograde on February 23rd through March 17th. In third dimensional terms it can mean complete havoc for any communication issues whether it is on a human or mechanical level. I have learned as the transference of dimensional awareness within me is beyond the 4th dimension, that my soul takes great advantage of these times to fully remove the parts of myself that do not coincide with the higher version that is being integrated. I ask each of you to try and do the same. It is a perfect time to allow the alignment to occur. This week we are being hit with the Great Central Suns from the Solar through the Cosmic activating energies within the auric level of GAIA, and we are going to be deeply affected. Per our call on Monday evening of the Clarion Temple of Oneness, Melchoir, who is the Galactic Logos, stated that all of the Great Central Suns were gathering their essences to infuse upon the planet to create an upsurge of frequencies to allow each living particle upon the Earth to move into a deeper essence of themselves. This would come with great challenges if we allow them to interact in such a way. They offered their assistance in creating a balance for us through accessing the Divine Way of Being via vibrational frequency. If you have not already felt these energies occurring within your consciousness and physical body, they will be activated this week. So how do we get through it with ease and grace? Take advantage of Mercury Retrograde and allow the energies to create a higher essence of your intuitive self by activating timelines that are fully trying to come into balance. You will be able to remove and accept the new particles of light as deemed appropriate through your Higher Self and I AM Presence. In addition, we will be experiencing a Full Moon on February 25th which appears in Virgo representing a higher vision taking place while allowing the old essences to be transmuted as in the lower physical energies. It is a time to fully allow our Wise-man/woman to appear in our consciousness which is a direct relation to the timelines being ignited at this time. Whatever you are feeling this week, try to be in the flow of it. There is so much more preparation that we need to make in order for these transitions to occur for everyone on the planet. When you have an emotional response to something that is occurring in your life, take care of it immediately with the Violet Flame. You may just be able to transform yourself in a matter of a few moments of concentrated effort. That is the beauty of this year as we allow the synchronous movements to flow within and through us. We embrace you from the 144th Dimensional Reality. This week we want to share the essence of a different level so that you can each get a feel of exactly what is happening within the Universal and Cosmic structures of the Many Universes. It is with this frequency of light that we can share with you the multitude of understanding the process that each of you is going under within your present state of conditions. You have heard the term, “Life is not what you truly think”. Let’s ponder that thought for a moment and reflect back when those words probably rang very true in an event that you experienced with yourself or others. Well, Earth is so much more invested in the ascension process of her acceleration than many of you realize. This is because it is not only about GAIA or about each of you; it is about each of us on the Innerplane levels of existence within the Solar, Galactic, Universal, Multi-Universal, and Cosmic along with the higher realms of Angelic existences spiraling upwards into the 144th dimensional reality. We are invested in you just as much as you are invested within your Ascension process. Let us do some explaining first, before we share exactly what the circumstances represent this week. As Earth’s atmosphere is changing into a higher existence, each of you is experiencing the same essence. You came to Earth at this time to fully accept the challenges that each of you are going through in order to experience a higher frequency of a similar planet as earth but much more vibrant known as Terra Christa. This has been a project in the works for quite some time, and it is going to a higher substance of frequency than we could ever imagine. Each of you understands more each day of your role upon the planet and how it is affecting you within the physical reality. The process of working through the elements within your Higher Self is the key to allowing the incorporation of Light to be accessed within your body. But yet there are going to be many moments when the acceleration becomes very challenging and you want answers of why, when, and how is it going to change. The beauty of this transformation is that each of you are going through these processes every day, but yet when you allow the integration to occur from your highest self within the physical, that is when you acquire ACCEPTANCE. Now when this occurs, GAIA also learns to accept the changes that are happening within her and then it filters out into all the kingdoms upon the land. There is then a moment of “AHHH” as the Universal structures come into ONENESS with every living organism on all the extensions of life. This occurs within the Earth, Solar, Galactic, Universal, Multi-Universal and Cosmic forces all come into the existence of the ONE. We all breathe a sigh of relief. There have been many moments such as this we describe in the periods of your history; The Harmonic Convergence, Full Moon Eclipses, Solar and Lunar Eclipses, 11:11 activations, 12:12:12, and 12:21:12, and the events within this year that have occurred already such as the New Moon and Full Moon activations, angelic activations for the New Moon, and the Rainbow of Lights representing the 24 Elders that Surround the Throne of Grace as they share the 12 Rays of God to humanity. We are now at another pivotal time in which we will all share our uniqueness within each other which is a gift to each of you. Since you are within the bodily structure of GAIA you are affected more deeply than any other system. You are holding the Light within your physical essence and your contract with your Higher Self and I AM Presence creates the bridge of frequency for you to accept or deny the process that is occurring within you. We ask of you to think about these thoughts very deeply as the more complaining that you do from your physical to others, the more you take away the power from yourself. At this time in history of your awareness, if you are feeling the effects of these elements, then it is time to say to yourself that you will be more cognizant of your intuitive self and what needs to be created within each moment. This week the systems of the Solar, Galactic, Universal, Multi-Universal, and Cosmic Great Central Suns are sending an outpouring of particles of light to assist every human being that is ready to acknowledge that there is MORE about themselves that needs to be revealed. As the Great Central Suns come together in Unison, the essence that will be received is deemed appropriate by your Higher Self and I AM Presence. It is imperative to understand that these energies are very powerful in a new and different way so it is important to take inventory of your Self. This will allow the essences that no longer fit your intuitive self to be removed. As you do so, the incoming frequencies will have an easier time of existing within you. Without knowing what needs to be changed within your lower self, then the energies will do their handy-work for you and may cause you to be off-center, self-absorbed, insecure, and blaming the world for your problems. When you allow yourself to receive the frequencies, you already have accepted the fact that other elements do not belong. Then the incoming energies will surface within you like a beautiful glide upon a snow covered mountain. They will slide within you and find their perspective space upon your physical essence. Some may say they are like sunbursts of light and can change a person’s energy level to a point where they cannot focus or feel as if they are in a daze. If this happens to you, again, take inventory within yourself with a deep breath and a moment of reflection. This will allow the frequencies to come into the pure existence of your Light body. Resist it and it will inflect great challenges within you. These energies are designed to help you at this time. They are not being activated to create havoc in any direction, but it is time for individuals to wake up unto themselves and see the creative process that is occurring within their lives. Yes, many will not be able to handle it, because they are not equipped to do so. They are not aware that there is something more than their mind or their body. They will be the ones that will change drastically but not in a good way. Life is changing within the Earth and what is occurring within your societies is representative of that fact. The more information we give to you about what is happening, the more you will be prepared to be the Torches of Light to stand tall and allow others to see how deeply they can acquire these elements for themselves. As you allow the illusion to be broken within you, the assistance that you are giving to others cannot be measured in any shape or form. 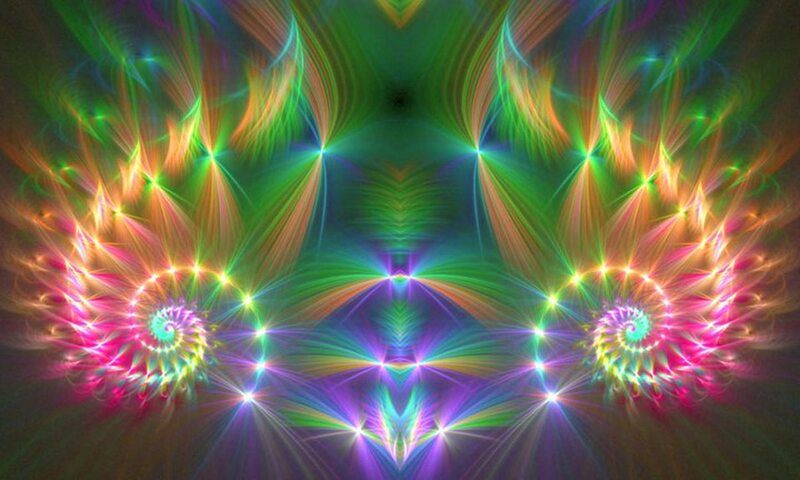 This frequency of light from the Great Central Suns is designed to prepare you for your multi-dimensional reality as more timelines are being ignited every day. It is imperative to continually understand what is happening within you in order to receive more essence. There is so much more to arrive and this is only our beginning with each other. Earth is not ready for the 5th dimension yet and neither are you on a physical basis, but you are preparing deeply for the immense reconstruction of this beautiful planet. This activation is occurring presently and has been since the 17th of this month. It will continue until the 24th of the month in preparation for the Full Moon activities. This will be your last activation in this month as the more you allow yourself to remember and release, the more you will be able to increase within yourself. We walk with you in beauty and joy for the New World to arrive. We are the Unified Whole Command at your service. Join us in ONENESS. Join us for a Full Moon Ceremony on Monday, February 25th, 5 PM Pacific, 8 PM Eastern. Details for this free call are located on Walking Terra Christa, JOIN US. ©2013 Walking Terra Christa, Rev. Christine Meleriessee & Mike Hayden, Ascension Mastery ~ All Rights Reserved. No use without prior written permission allowed except for sharing the post in its entirety along with the link to this page; http://walkingterrachrista.com. On Sunday, February 10th we experienced a New Moon which was very interesting as it moved from Capricorn into Aquarius representing being restrictive within ourselves and learning to flow with the energies. We have been experiencing some very powerful energies which Spirit has been speaking that the time in February will be very parallel to what we experienced in December 2012. It is a time to fully understand what you are going through, allow the process to happen, and walk into the new way of thinking and feeling. This can be a very challenging experience for individuals who do not understand how to tap within themselves to awaken into a new perspective of awareness. Just because an individual ‘wakes up unto their beginning essence’ does not mean that they will understand how to process the feelings and thoughts that are happening in their lives. This pathway is one riddled with great challenges, but also enhances the best that we are in each moment. February is going to help us expand further into our own consciousness. We all come to this Earth for a purpose and some of us have more responsibility than others to help create the new frequencies to be fully grounded. But one thing is certain; if you are reading this material, you have an important role to fulfill within your existence. These energies are helping us to be better, to be more confident, loving, and compassionate, and to express it to others. So instead of worrying what you are feeling in each moment, allow the essence of Grandmother Moon to assist you into the next phase of our awakening. This New Moon has also brought us more activation(s) within the Angelic realm to be integrated within our Being. This energy started in January and with each new moon we are being activated to remember more of our Angelic Presence. What this means is that the angel that We Are is intertwining into the human that we have become. It is all very exciting as we reach into our angelic essence to remember and acknowledge those timelines that we have forgotten. We are learning to become the Angelic Beings grounded upon the New Earth. So if you have been feeling unsteady and unsure of yourself, know that it is changing you deeply. We may not understand how the process is working or the depth that it is occurring for some time. Our job is to just expand into these frequencies and allow the newness to settle within our physicality. Your mind is going to want to try and understand; please know that cannot happen as the Higher Mind is now being fully activated within your physical structure. As we experience these elements, we may be finding that we will do things in a completely different way than we did before; or we may realize that a part of our-self is now our true reality. The changes that are happening within each individual are so minuet that it may not be detectable without a fine microscope so just allow the feelings to project within your consciousness and accept your new reality. It is a wonder of love and grace. As we expand into this new paradigm of Light, we experience a beautiful day of Love on February 14th. If you take the time to truly accept the energy of Love within your Heart coming from your Highest Essence, you will start to acknowledge how deeply you are loved and in so many ways. Jonathan Parker facilitates a World Sound Healing Day, (http://www.worldsoundhealingday.org/) in which every individual chants the sound of “AH” for five minutes at 12 Noon around the world. This sound resonates from the Heart of God into each of our own hearts and has been utilized by the Divine Mother & Father God in our transmissions from the Clarion Temple of Oneness. So take some moments on this day to accept the Love that is being guided through your Angelic Essence into the One Being that You Are. Greetings and love on this day. It is very exciting to share and experience the new paradigm of light that is being acknowledged within the Earth Plane levels and to have each of us expand deeper than we ever thought possible. We, of the Unified Whole Command, are also within our expansion process just like each of you are doing so it is no mistake that we should celebrate our Light with each other. We plan to do just that. This month of February is going to help each of you to understand a deeper part of your expansion with feelings. As you have gone through the changes and elevated your vibrational levels, you have also had to adjust within the physical reality that is changing for you. We understand the process of not accepting the conditioning process that you have had to experience through this transition of Light unto the planet. We applaud you that you continue diligently even though the feelings and thoughts you may be having do not reflect the essence that is expanding within your creation. As we delve deeper into the core of GAIA, there are many levels of timelines that she has held onto that are affecting each of you greatly. It is not just your personal timelines that you need to process, but her essence is changing with each step that you make within yourself. The conditioning factor of this transition is one of great sacrifice and without your diligence we could not have created the opening doorways into the New World. BUT WE ARE ACHIEVING IT ~ and we want to share with you our excitement that is paramount to what you are experiencing presently. We know the process you have been undergoing, and understand the challenges that are resulting from each of those intense moments within you. We also understand that you are receiving wonderful gifts each time you go through another intense doorway of change. The acceleration that is occurring presently is due to the creation of you wanting to do so, and none of you understand the depth of your ability to continue the walk into your future world. Actually, what is being achieved presently is having the capability to accept the changes as the information has not surfaced except in small bits and pieces as each new development of your world has been revealed. But that is about to change and you are going to experience it yourself. You must remember that it must come in waves of light for you to accept the nuances of your future to become manifest in who you are presently. Changes are resulting within your world and around you for the explicit reason that IT IS TIME. The creation of your planet has become stable, whereas, previously it was uncertain of the outcome of Gaia. But with the transition of more individuals awakening upon the planet, the residual effect of the transmutation has taken GAIA’s world into a new existence where love and acceptance is the common rule and not the lower worlds that have resulted in your experiences of the past. It is now a time of complete reversal within your world and we are excited to experience it with you. The changes that are about to occur must first be felt within your Heart as all of our Hearts are blending together. You see in order for us to make the manifestation of the New World occur we must honestly take a few moments with a breath of light and experience the essence of the Purity of Love to be within. This is going to take practice because the lower mind forgets and wants to run forward with the thoughts. It is imperative that during this week to not to allow that to happen. As you move further into your Acceptance, you will start to feel it. You see YOU HAVE FORGOTTEN HOW TO EXPRESS IT WITHIN YOU. You have a body and that body has taken precedence over everything in your world. But that is no longer the case. You are learning to accept the light formations that are being transmitted to you in your sleep state, in your meditations, and even your awakened state of consciousness. It is coming in Light Codes to intertwine within your physical reality. But you must take a moment and allow this essence to be fully within you as you walk through your days. Without it, it will be lost and so will you. This is the power of the light at this time. Previously we spoke about the Rainbow of Lights that are emanating from the Elders That Surround the Throne of Grace. They have been continuing to be commanded into each and every soul, but now is the time to understand that you must accept them. You cannot work without them; they are the commanding energy from the Essence of the Divine Will and Love of God. You have been created through your physical essence by these commanding light frequencies but that is not All That You Are. That is the beauty of what is occurring presently. You are all of these and more and will see the Power, the Love, the Joy, and Expression of ALL THAT IS to be commanded within you. 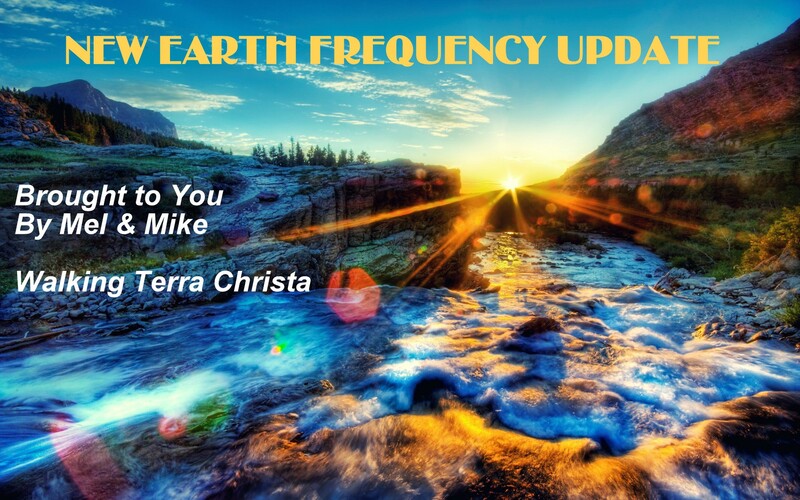 This week all these frequencies are coming within the planetary level once again on the next phase of Light. It is assisting everything you know to be and all will change within these essences. Your world needs it deeply and it cannot change overnight but it is happening within the increments of light formations with each passing planetary exchange of the Sun, the Moon, and all inter-related elements of creation as we come into the Creation of the Oneness. What does this mean to you presently? Well, we say to you, “What is it that you do not understand?” Or let us put it this way, “What is it that you are not seeing within yourself?” The Rainbows of Light along with the Angelic Transmissions are activating seeds of creation that you previously forgot to help you remember while deflecting the parts of yourself that do not fit your present reality. Taking some moments and allowing these essences to intertwine within you is going to allow the Acceptance that you have been searching for. It will help to remove the parts that have been lost, the elements that you need to purge in order to have the full functionality of an ascended being of light. Mind you, this is just the beginning and it will not occur instantaneously but each of you is going into the depth of your Soul’s Essence to find what you have been looking for. BUT YOU MUST STOP AND FEEL IT COMING. Let it flow within you and expand your auric field beyond the frequencies that you never thought you could hold within you. It may stay for a moment or longer depending upon where you are within your own consciousness. BUT IT MUST BE IN THE SUPREME LIGHT OF THE PURITY OF YOUR ESSENCE AND NOT WITHIN YOUR PHYSICAL SELF. It is a gift and it is time for you to receive it. Expand your consciousness in these moments as you fully accept a new part of your Divinity into your World. Doing so is going to help the essence of human consciousness to accept itself deeper than ever received upon this planet. It is the awakening of GAIA and now is the time to fully reflect and enjoy the ecstasy of Oneness Within. Learning to expand these essences within you daily will help you to acknowledge the deeper parts of yourself. You will also be able to remove the lower thoughts and feelings that need to be put into the light. They will arise and utilize these frequencies of your angelic self to turn them into the purest essence you have ever experienced needs to be the defining rule in your life. But if you choose to stay within them, you shall go deeper into the abyss and pain that you have endured for a very long time. The Light and the Dark are moving into Oneness but holding onto the Dark will only separate the Light from you as the gap between the two will become wider. Then there will not be Light and only Darkness which will cause the separation within and then within the world. But the Light is so strong upon Planet Earth presently that the Light will win but everyone needs to do their internalization of the Self to allow it to happen more quickly. It will be like a wave as more individuals receive the Light, there will not be anything else, but the LIGHT of GOD. It is time to understand yourself more deeply than you ever thought you could. It is not from your physical mind but with a breath of fresh air that the acceptance will enfold within you. Your lower self will cease to exist but you must allow yourself to surrender within the process of Light. The choice is yours to fully embrace your Light and Power within God’s Embrace. We look forward to walking with each of you in the Oneness of Light that we Are. We are the Unified Whole Command standing amongst each of you in Oneness. So Mote It Be in the Light That We Are!